A little 3 dimensional owl for fall from Just Nan. He is shown on 32 count stone grey linen and uses DMC colors. Design size is 45H x 75W (2 3/4″ x 4 3/4″). 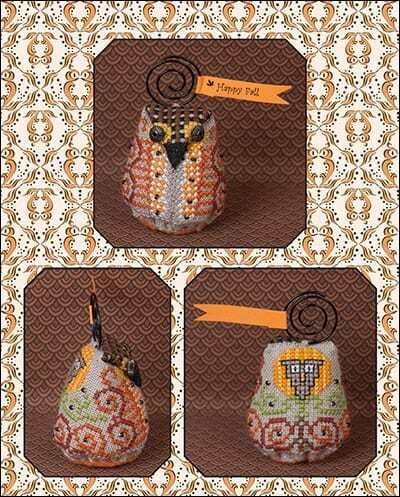 Pattern includes beads, metal eye beads, orange felt, spiral hanger and Happy Fall banner. This one is a limited edition.